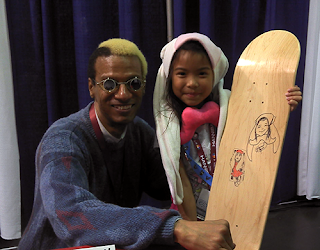 Howard with young fan Kayla for whom he drew her portrait on a skateboard. It was great to meet the fans and do sketches for them. I attended some very good panels. So I enjoyed my kind of first time there. I'll get back to talking about perspective tomorrow, for real! I've kept you waiting too long!